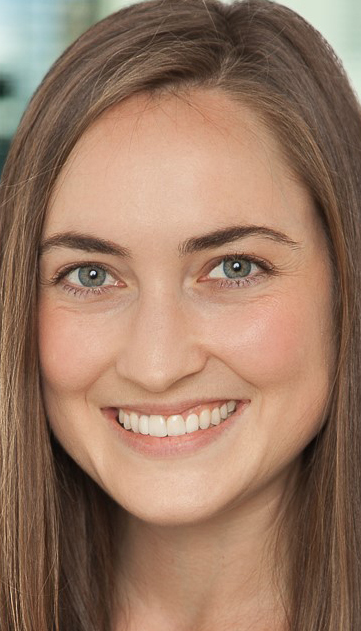 Jennifer Bickel, M.D. 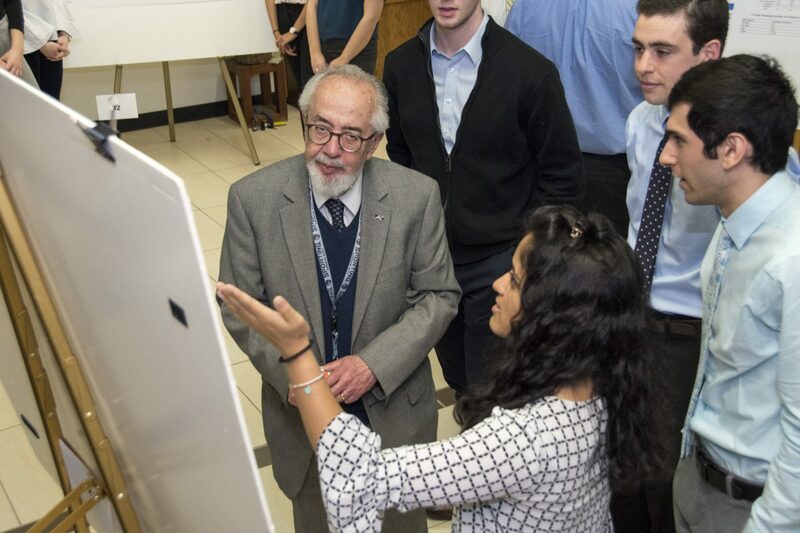 ’01, one of the professors who designed the research exercise last year, judged posters again this year. One mark of a good experiment is that its results can be replicated. By that standard, a required research project for third-year School of Medicine students appears to be a success. The research exercise was introduced a year ago in the medical neuroscience course and drew positive comments from the students and the faculty members who judged their projects. The reactions were much the same for the assignment’s second go-round, the results of which were presented Dec. 4 in the school lobby. “We wanted to give students an early research experience, to raise the bar of their baseline research knowledge,” said Jennifer Bickel, M.D. 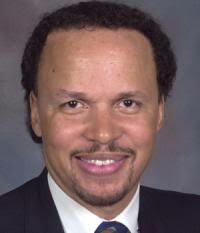 ’01, associate professor of pediatrics and director of the Comprehensive Headache Clinic at Children’s Mercy Hospital. Whether or not conducting research becomes a part of their careers, Bickel said, it’s vital for all physicians to know how to use research. “All research has some weakness, and without understanding of the process, you can’t properly interpret results,” she said. 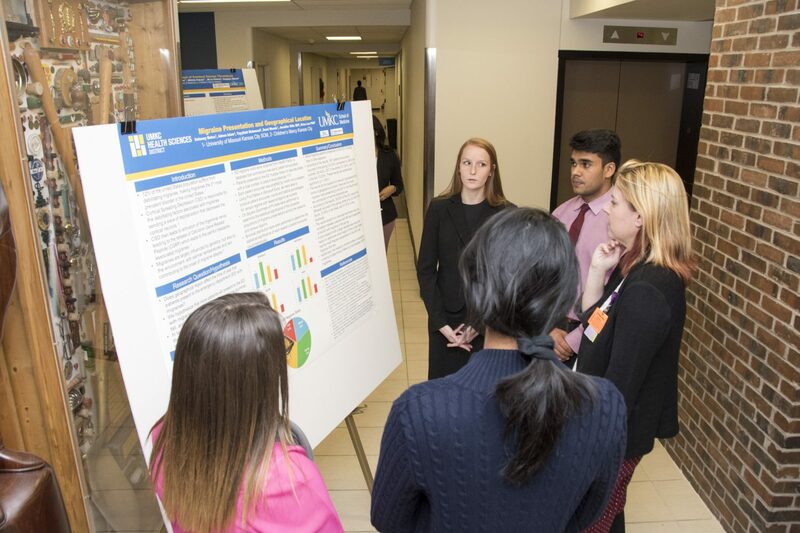 In the exercise, teams of four students used data from the Cerner HealthFacts database, a nationwide compilation of data made available by Cerner Corp., one of the largest health care software companies in the world. The student teams, with the help of a faculty mentor and a supporting biostatistician, answered a unique question they identified related to a serious medical condition. The databases used this year covered such conditions as dystonia, migraines, catatonia, stroke and seizures. After analyzing the data and drawing conclusions, each team made a poster displaying its question and hypothesis, telling how the team members went about testing their hypothesis, explaining their findings, and identifying questions for further study. Agostino Molteni, M.D., Ph.D., is a research leader at the school and was one of the contest judges. For many students it was their first medical research, and several of them said the assignment was helpful in many ways. Some said that before the exercise they were worried about how difficult it would be to do research, but now they looked forward to being able to do more. One of her teammates, Courtney Dorris, said she was motivated to do more research and was looking into other opportunities with faculty. “It was a good change of pace from the classroom to have real patient data and think about how to apply it,” she said. Other students said they found value in learning more about how to use statistics; about the need for teamwork in research; about how to present data and frame conclusions; and how to think about research that could follow up on their projects. 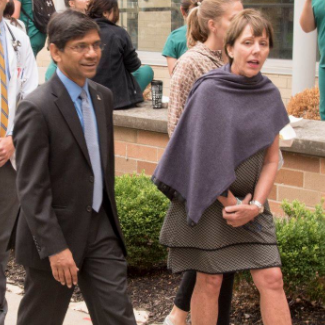 The exercise was devised in 2017 by Bickel; Julie Banderas, Pharm.D., BCPS, professor of pharmacology in the Department of Internal Medicine and assistant dean for Graduate Studies and Allied Health; and Paula Monaghan-Nichols, Ph.D., professor and chair of the Department of Biomedical Sciences and associate dean for research. Eryn Wanyonyi, Amaka Ofodu and Taylor Carter became fast friends through the Student National Medical Association and now hold local, national and regional leadership positions in the organization. 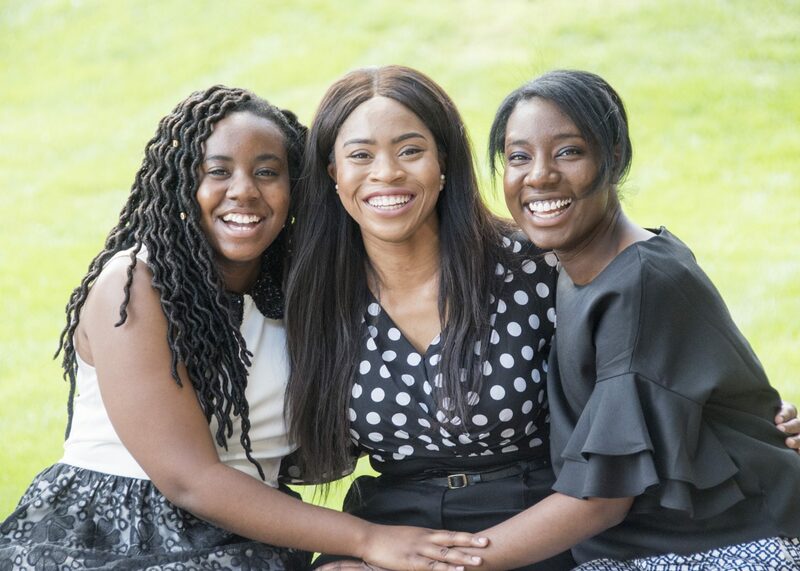 Taylor Carter, Amaka Ofodu and Eryn Wanyonyi all expected medical school to be tough, and they didn’t expect to have many African-American classmates. 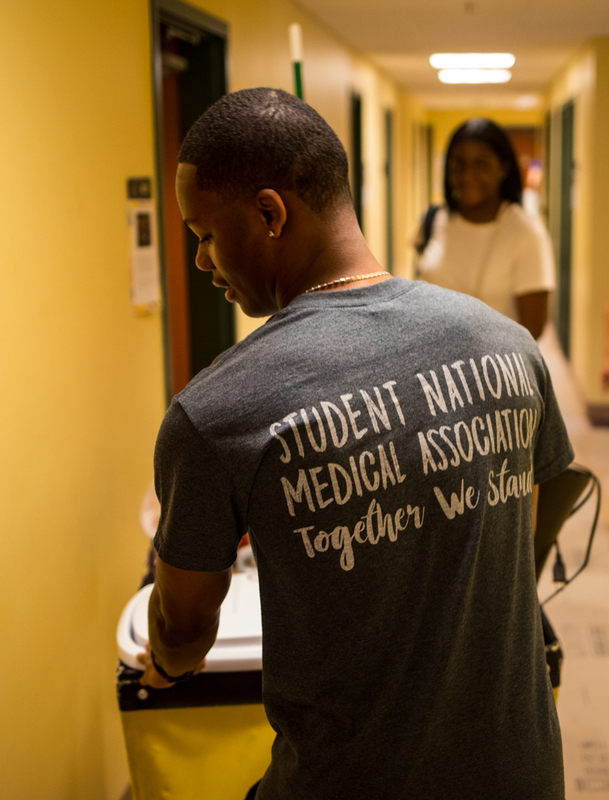 When the Student National Medical Association (SNMA) reached out to them, even before school started, they appreciated the support. Now, with the help of SNMA and each other, each has become a leader in the UMKC School of Medicine and in the association. Carter said her first year of medical school was a struggle academically, socially and mentally. But through the association she met “three of my absolute best friends, including Eryn and Amaka.” They helped each other through that first year, and now they all are on track to graduate in May. 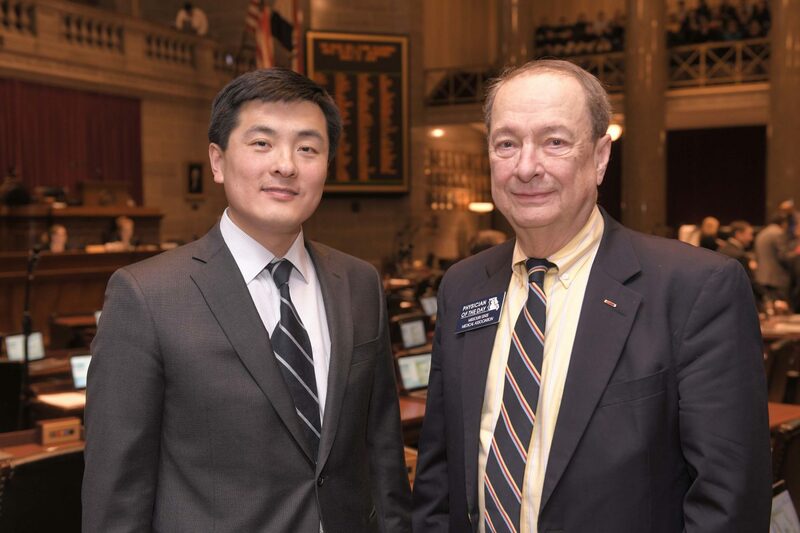 Part of that “so much more” is offering leadership training and opportunities, often through fellowships in the association’s Future Leadership Project. Wanyonyi and Carter had fellowships to learn about the national association’s workings, and Ofodu attended regional training. Now, Wanyonyi and Carter hold national SNMA posts and are co-presidents of its UMKC chapter. 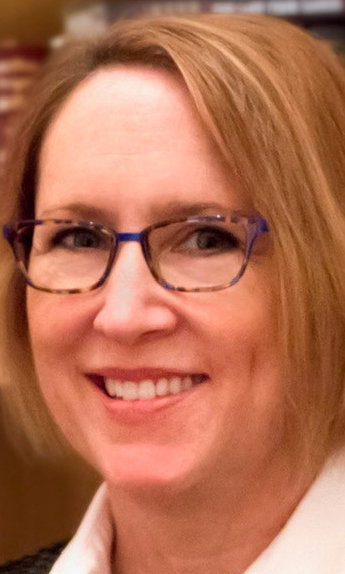 Ofodu is chapter vice president and assistant director for the association’s upper Midwest region. As SNMA vice chairperson for health policy and legislative affairs, Wanyonyi helps advance association efforts to affect medical education, national health care policies and minority and women’s health. Besides all her work with SNMA, she has done research in obstetrics and gynecology, the specialty she wants to pursue. And as a Paul Ambrose Scholar, she is working on a sexual health curriculum for a Kansas City high school. Carter is interested in general surgery and is back in Kansas City after a summer rotation in Atlanta. She’s working on a diversity and inclusion research project with Miranda Huffman, M.D. ; was recently inducted into the Alpha Omega Alpha medical honor society; and is student representative on the Honor Council and Council on Selection. Ofodu is an associate director for the association’s 10-state Region II, which encompasses Missouri, Kansas and much of the upper Midwest. Ofodu, who is interested in internal medicine and pediatrics, is a member of the Gold Humanism Honor Society and Alpha Kappa Alpha Sorority. She also is a Diversity Council student representative. Part of their leadership is passing their confidence and experience on to the first- through fifth-year students coming up behind them. 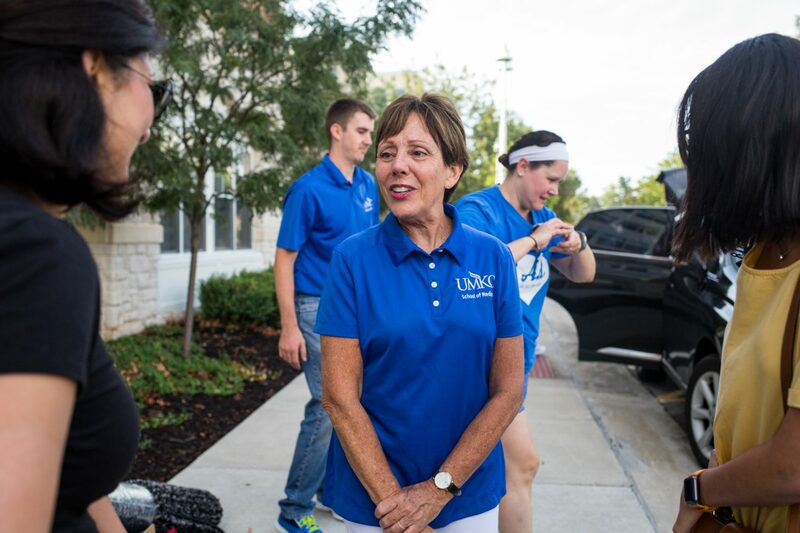 Interim Dean Mary Anne Jackson, M.D., who earned her medical degree at UMKC, greeted the first wave of students and their parents. The Oak Street Residence Hall was abuzz Thursday morning, move-in day for dozens of first-year students in the UMKC School of Medicine. Bianca Ituarte checked in at Oak Street Residence Hall. Another new arrival, Mauli Patel, said she also was drawn by UMKC’s six-year program. Mauli Patel had her hands full but got plenty of help moving in. Like many students accepted by the School of Medicine, Ituarte and Patel went beyond their high school classes to distinguish themselves. Ituarte had an internship at the McDonnell Genome Institute at Washington University, one of just three U.S. gene sequencing centers financed by the National Institutes of Health. 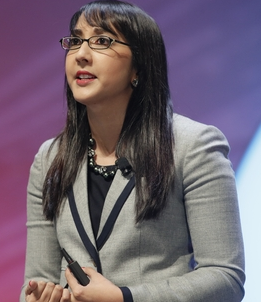 And Patel was active in HOSA-Future Health Professionals and its Competitive Events Program, which offers a series of competitions designed to enhance learning about health care. The new students said they knew that the UMKC program would be rigorous, but that they already felt welcomed and supported. 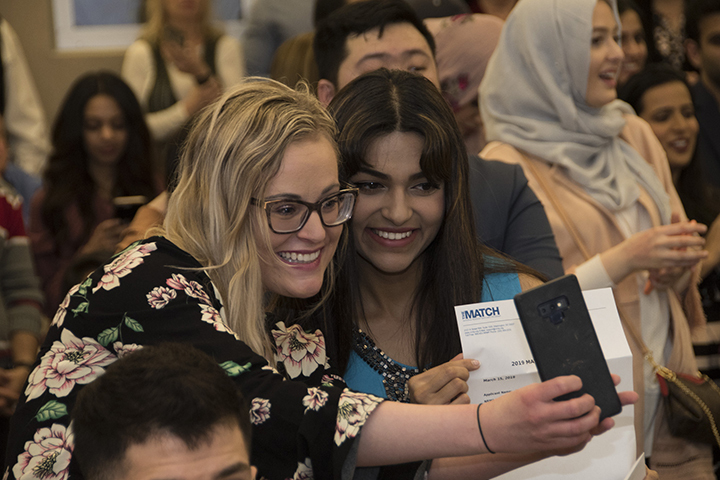 Each first-year student has a second-year medical student mentor, someone they can be in touch with even before they move to the campus, and who will help them throughout their first year. Her father, Mehul Patel, a software engineer, said the School of Medicine’s system and the age of smartphones made his daughter’s entry into college much different from his. 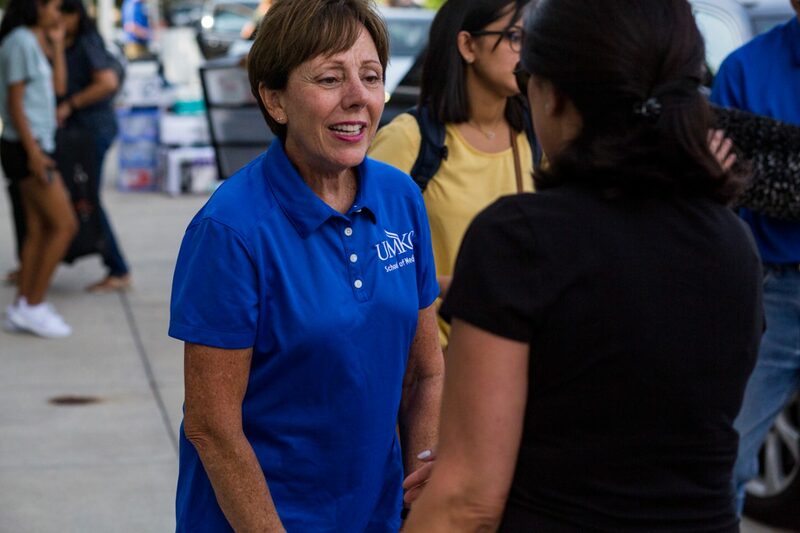 Several School of Medicine staff members were on hand to greet and help the students, along with a big group from UMKC’s Residential Life staff. 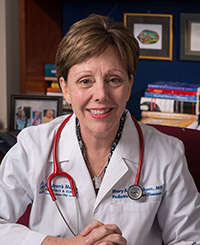 The School of Medicine’s interim dean, Dr. Mary Anne Jackson, who earned her M.D. at UMKC, greeted the first wave of students and met their parents. 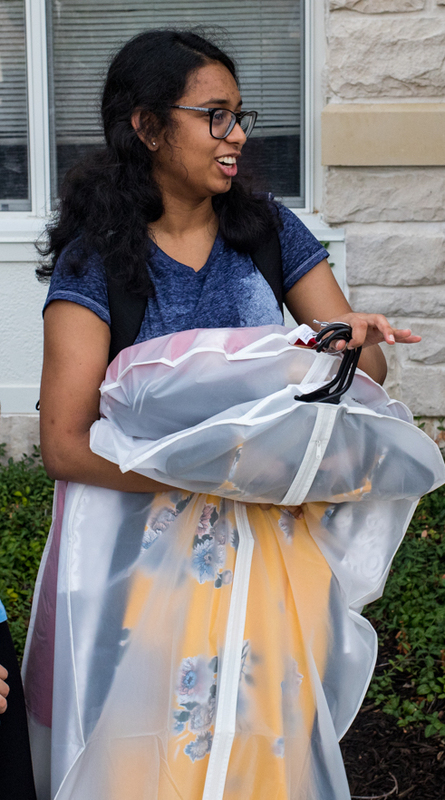 Second-year student Jordan Grimmett helped several new students move in. 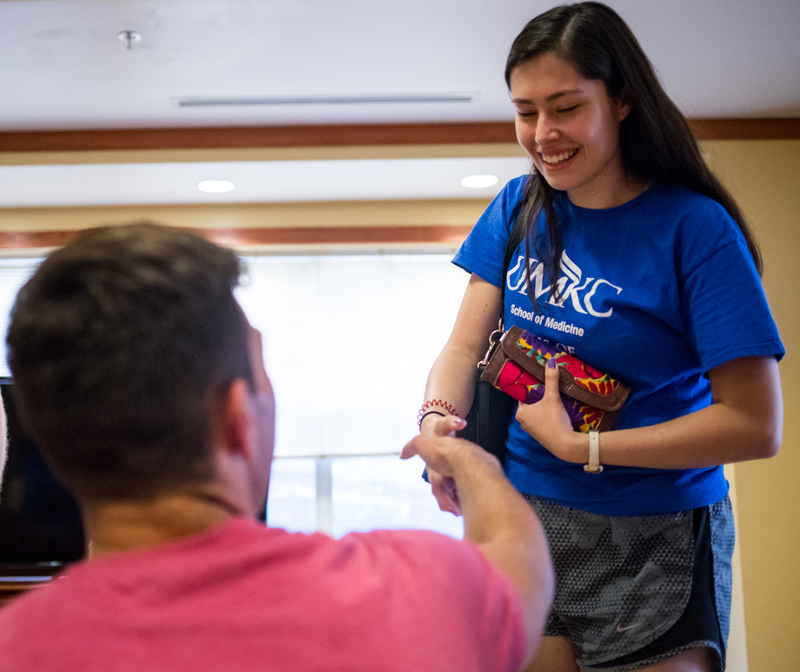 Many of the second-year mentors also showed up, providing moral and muscle support – and getting a chance to remember their own first-year butterflies. Jordan Grimmett, from St. Louis, said he was grateful for the help he received a year ago and wanted to do the same for the new students. All the attention and support wasn’t lost on Ituerte.